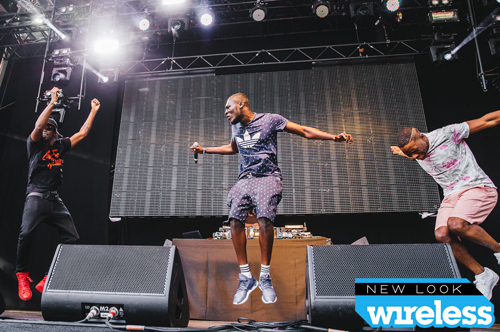 2015 marks the tenth anniversary of first Wireless Festival, which has evolved from being a electro and rock focused festival in Hyde Park to an urban music festival in Finsbury Park. Following a brief experiment in 2014 when organisers took a Reading and Leeds Festival approach by holding the event in two cities, the festival returned to its new found North London home this year. On Friday, ASAP Rocky was joined by his ASAP mob for his set, which began with “Hella Hoes”. Rocky's mic problems and a set which included crowd favourites like "Wild For The Night"meant the set was a bit up and down, but fair play to Rocky him and the mob put lots of energy into their performance. I’ve always wanted to see him live and it’s fair to say that he had one of the best sets of the day. If any proof is needed for how big Krept and Konan are then I can only point to the attendance to their set at wireless. Around 15 minutes before the set I started seeing people congregate towards the tent, by the time we started making our way to the tent, the tent was rammed and there was a large queue of people waiting to get in. We didn’t even get to make it inside, but what I did hear of the set sounded good. After cancelling his appearance at last year’s festival, I’m glad to say that Drake attended and boy did he deliver this year. The Toronto rapper was the headliner for day one of the festival and watching his set you could see why. Mixing mixtape cuts as such as “We Made It” with older tracks such as “Motto” and crowd favourites such as “Know Yourself” Drake put on a good show. He even set off fireworks as part of his set! Surprise guests included PARTYNEXTDOOR and Skepta, the latter of which performed “Shutdown” following Drake’s live intro which was one of the highlights of the weekend. 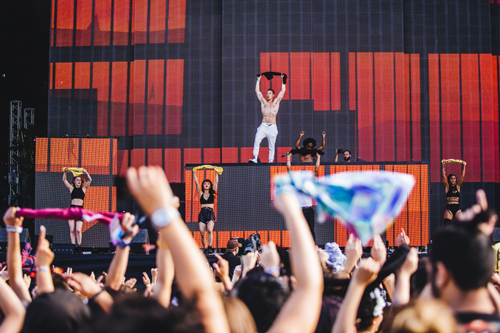 It was Major Lazer that played the most entertaining set though it was a massive party from start to finish! Tracks like “Watch Out For This”, “Lean on Me”, “Get Free” and even DJ Snake & Lil Jon’s “Turn Down For What” mixed with lesser known tracks that still had more people moving than any other set on Friday. MNEK smashed it in the Pepsi Max Arena tent, with bangers such as “Ready For Your Love”, Duke Dumont’s “Need You (100%)” which he co-wrote and recent single “The Rhythm”. It was an energetic performance in which the singer’s powerful voice stole the show, with a debut album on the way it can’t be long until he’s a main stage act. Stormzy’s was easily one of the best sets and he should have been allotted a bigger stage judging by the overcrowding at Capital Extra’s Re:Wired stage. The Grime MC performed underground hits such as “Shut Up”, “Not That Deep” and “Know Me From”, which all had the crowd in a frenzy. Stormzy brang out Krept and Konan for “Don’t Waste My Time”, Yungen for “Aint on Nuthin” and orchestrated what was probably the cameo of the day bringing on Dizzee Rascal when saying the lyrics “I was on the roads when Dizzee made “I Love You” on “Know Me From”. His set was like a rave and there was barely any room to move elbows, but the crowd was friendly and energetic. There were even some that were not familiar with Grime, one fan kept referring to Stormzy as Storm and asked me what Grime was! But judging by the hype and singing along by the crowd both new and old fans of Stormy had a good time. DJ Melody Kane was spinning nearby the Pepsi Max arena and what I heard of the set was brilliant. She and her accompanying DJ played old and new Dancehall and Hip Hop club favourites which had the onlooking crowd in full rave mode. Avicii was on the main stage but they didn't care! 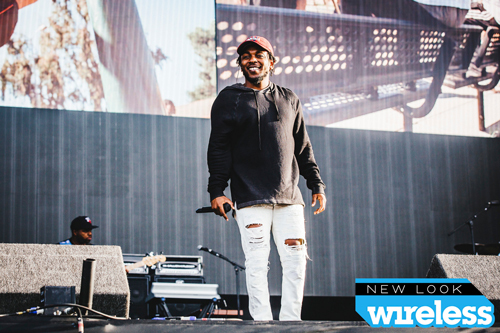 It was hard not to come away from his set being moved with Kendrick's overriding message of positivity. He was backed with images of his early years as a youth and of his neighbourhood, Compton and with the sun being out it almost felt like LA. Beginning with “Money Trees” before going into crowd favourites such as “Swimming Pool (Drank)”, “m.A.A.D. city”, “King Kunta”, “i” and “Alright”. Kendrick’s intermissions were frequently interrupted with the crowd cheering “Oh Kendrick Lamar” to the tune of White Stripes’ “Seven Nation Army”, proof if anyone was in doubt that Kendrick was killing his set. All in all it was a good weekend, even though there was some trouble reported with people forcing their way into the festival. Event organisers stepped up security on the second day with three ticket checks before attendees were allowed into the festival, but it seems that wasn't enough. 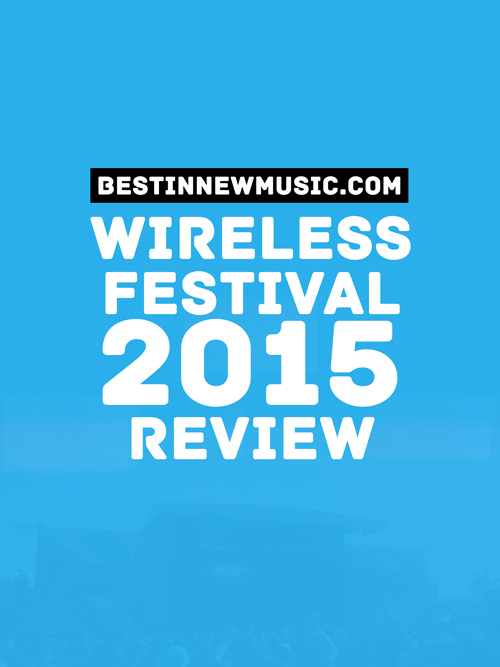 It was great to see the best urban artists from the UK and beyond on the same billing, long may Wireless continue.